here's that project i was hinting at. another inspiration from maryellen's goodies. those autumnal prints were just begging me to become a banner (sort of a mix of alicia paulson's birthday banner and amanda soule's dream banner). 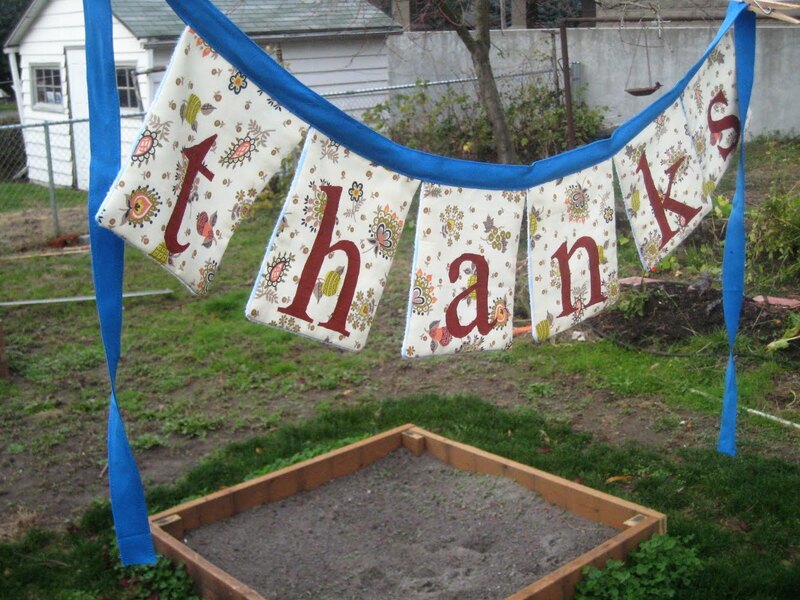 another friend of mine makes similar banners in paper, and i loved the 'blessings' banner that adorned her family's living space for some time. i initially intended to make multiples for family gifts and to mix the fabrics, but simplicity won out. i think it looks just perfect. i have an idea for the back too - just wait! i'm very excited to add this grateful reminder to our home during these grey months. we are feeling extremely thankful today for our countless blessings. thanks to you!